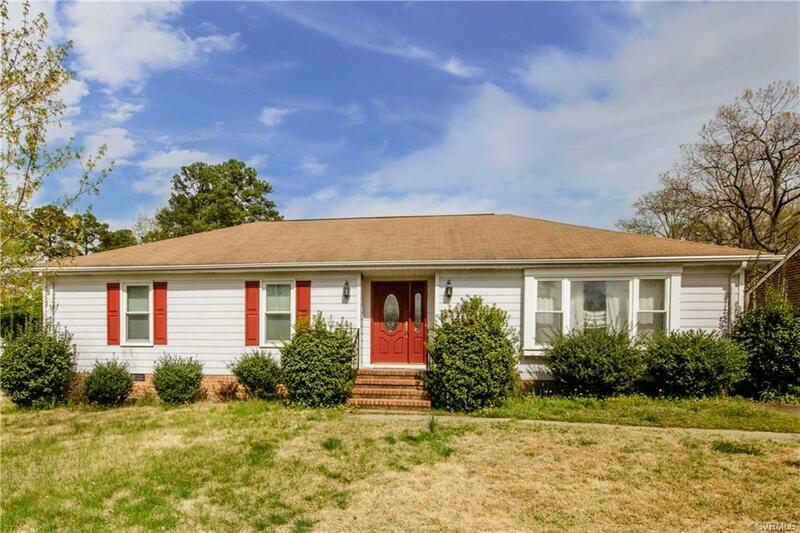 4 Bedrooms, 2 Full Baths in lovely established neighborhood: With some TLC this home will be beautiful again! Lots of space in 1,667 square feet, formal living room with crown moulding as well as spacious family room with brick fireplace, access to screened porch. Foyer features crown moulding and chair rail; Eat-in kitchen with lots of cabinetry; Laundry/mudroom with screened porch access; Master bedroom has double closets and full attached bath. Nice-sized corner lot. All this in a wonderful location near interstates 95 and 85, Fort Lee, Tri-Cities and Chesterfield. Home is sold as-is, no FHA/VA financing.